IGW – 13th International Gluten Workshop 14-17 March 2018. 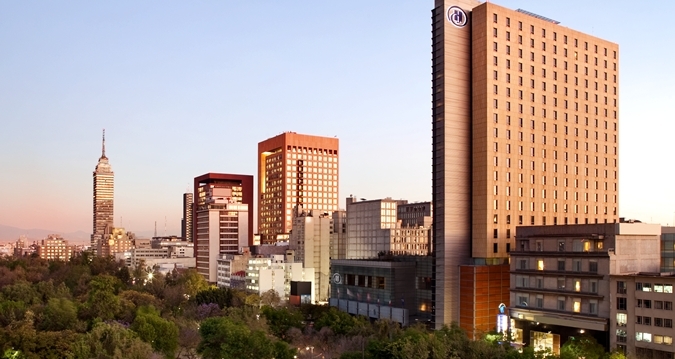 Both conferences will be held at the Hilton Mexico City Reforma in Mexico City. CIMMYT was selected as the host institute for LACC4 and IGW because of its long history of impactful research in cereals and in breeding. Innovations on the analysis of wheat quality parameters: technologies and methodologies. IGW and CIMMYT will use this global reach to establish networks and define future projects to face the current challenges in the field. On 14 March, the day in between both conferences, a visit to CIMMYT Headquarters in Texcoco (35 km from Mexico City) is scheduled, in which the participants will have the opportunity to learn about this international institution and its projects and to interact with CIMMYT scientists. 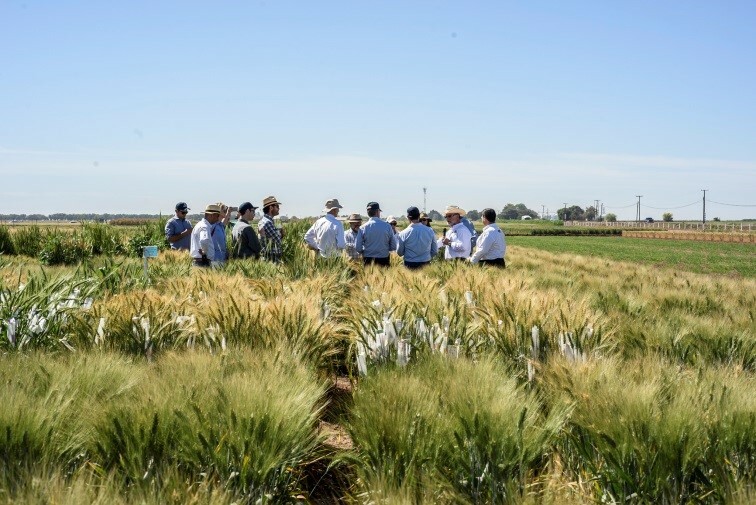 In addition, after the conferences, attendees are invited to visit the world-class wheat breeding facilities of CIMMYT in Ciudad Obregón, Sonora (2-hour flight from Mexico City), during the Global Wheat Program Visitors Week (20-22 March). At this annual event, wheat breeders, pathologists, agronomists, and scientists in other disciplines meet annually in Ciudad Obregón to learn more about CIMMYT’s wheat breeding program and to establish new networks of collaboration and projects. Present your work and your company to experts in the Latin American region. We look forward to welcoming you in Mexico! CIMMYT – The International Maize and Wheat Improvement Center – is the global leader in publicly-funded maize and wheat research and related farming systems. Headquartered near Mexico City, CIMMYT works with hundreds of partners throughout the developing world to sustainably increase the productivity of maize and wheat cropping systems, thus improving global food security and reducing poverty. CIMMYT is a member of the CGIAR System and leads the CGIAR Research Programs on Maize and Wheat, and the Excellence in Breeding Platform. The Center receives support from national governments, foundations, development banks and other public and private agencies. Mexico City is the capital and most populous city of Mexico. This city is one of the most important financial and cultural centers in the Americas. Named as “the metropolis that has it all” by the New York Times, Mexico City allows you to penetrate its streets and encounter their historical past; it offers bohemian corners nestled in traditional bars and restaurants that have become a haven for travelers and locals alike. It transports you to a surreal world comprised of the eclectic mix of wrestling matches, grand baroque aesthetic, and luxurious palaces. It has an incredibly diverse nightlife, where you will find everything from unconventional clubs to typical canteens, and venues that offer a cosmopolitan flavor, which represents but a fragment of the complex cultural mosaic that converges in this city. It comes as no surprise that it is considered one of the most exciting cities to visit. Mexico City is a destination with an extraordinary mysticism that revels in its overlapping plurality, folklore, and modernity; everything here is an intermixture, its pre-Hispanic roots present in its foundations, as shown by the Metropolitan Cathedral that sits on top of the pyramid of Tonatiuh. Everybody loves Mexico City, and so will you! The activities of LACC4 and IGW will take place at Hilton Mexico City Reforma, a convenient downtown location, just footsteps from the historical downtown and the famous Reforma Avenue. Hilton Mexico City Reforma boasts 45,000 sq. 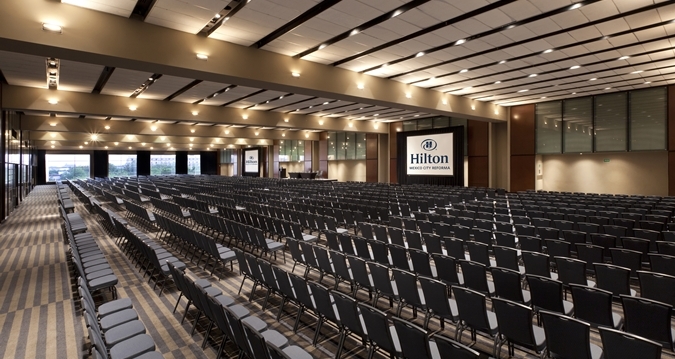 ft. of flexible meeting space and a versatile convention center for up to 5,000 Guests. A top choice for business travelers, the hotel provides flexible meeting spaces, dining options and panoramic views all within steps of businesses and offices. Martha Cuniberti Head and Technical Director of Wheat and Soybean Quality Lab, INTA, Argentina Importance of Argentine wheat production and quality in Latin America. Ahmed Regina Research Team Leader, CSIRO, Australia High amylose wheat: a route to healthier foods. Natalia Palacios Head of Maize Quality lab, CIMMYT, Mexico Biofortified maize: progress and perspectives. Juan de Dios Figueroa Professor, CINVESTAV, Mexico Evolution of nixtamalization process: advantages and disadvantages. Larisa Cato Wheat Quality Technical Markets Manager, AEGIC, Australia Sponge & dough baking with Australian wheat. Luis Bello Pérez Professor, Instituto Politecnico Nacional, Mexico Retrospective study of starch digestibility in corn tortilla. Pedro Luiz Scheeren Researcher, EMBRAPA, Brazil Biofortification in Brazil: iron and zinc concentration in grains on wheat cultivars grown in different environments. Gideon Kruseman Socio-economics, CIMMYT, Mexico Milling quality: the Achilles heel of cereal foresight studies? Tatsuya Ikeda Senior Researcher, NARO, Japan International collaboration on wheat quality and safety. Craig Morris Director, USDA-ARS Western Wheat Quality Lab, USA Enhanced gluten properties in soft kernel durum wheat. Mike Sissons Head of Durum Chamistry, NSW Department of Primary Industries Can manipulation of the glutenin composition of durum wheat improve bread loaf volume and still maintain pasta quality? Markus Brunnbauer Product development , Backaldrin International The Kornspitz Company Modern applications of vital gluten in bakery products and higher demands for its quality. Alison Lovegrove Senior Research Scientist, Rothamsted, UK Exploiting natural and induced variation to improve the content and composition of dietary fiber in wheat grain. Susan Altenbach Research Biologist, USDA-ARS Western Regional Research Center,USA Biotechnology and breeding strategies for the development of wheat with reduced allergenic potential. Jos Van Boxtel Principal Scientist, Arcadia Biosciences Inc., USA Reduced gluten and increased lysine levels by single gene disruption in wheat. 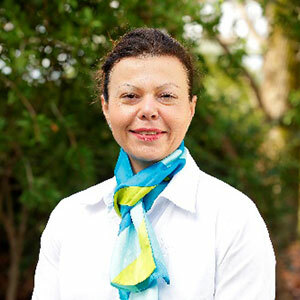 Senay Simsek Bert L. D'Appolonia Cereal Science and Technology of Wheat Endowed Associate Professor, North Dakota State University, USA Immunomodulatory activities of wheat arabinoxylan hydrolyzates. Wujun Ma Professor, Murdoch University, Australia Characterization of cysteine-rich avenin-like proteins in common wheat. Jayne Bock Global Technical Leader of the Food Division, Brabender Instruments, USA Development of a method to evaluate the quality of vital wheat gluten for bread baking using a high shear technique. Maryke Labuschagne Professor, University of the Free State, South Africa Proteomics in wheat gluten research: where are we standing and where are we going? 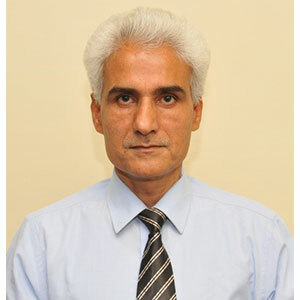 Sewa Ram Principal Scientist and Head of Wheat Quality lab, ICAR-Indian Institute of Wheat and Barley Research, India Assessment of genetic variability and development of high phytase and low phytic acid genotypes in wheat. Till Pellny Senior Research Scientist, Rothamsted, UK Developing new types of wheat with good processing quality at low grain protein content. Barbara Laddomada Researcher, CNR ISPA, Italy Variability in phenolic acid composition and content in a collection of CIMMYT durum wheat cultivars and Mexican landraces. Zhonghu He Distinguished Scientist and Country Liaison Officer, CAAS-CIMMYT, China molecular marker development and application for improving qualities in bread wheat. Marianna Rakzesgi Leader of Wheat Quality lab, Centre for Agricultural Research, Hungary Aegilops as a source of dietary fiber and drought stress tolerance. Gilberto Igrejas Professor of Genetics and Biotechnology and Head of the Functional Genomics and Proteomics Unit, University of Trás-os-Montes and Alto Douro, Portugal Proteomics to assess the quality of the Portuguese bread wheat. Martha Cuniberti is a Chemical Engineer and Doctor in Agricultural Sciences in Córdoba University. Argentina. Specialist in Cereal Science and Technology. Head and Technical Director of INTA Wheat and Soybean Quality Lab. ICC Latin American Region Founder and Representative, National Delegate, ICC Executive Committee Member and Academy Honorary Member. In 2007 she was the President of the 1st LACC in Rosario, Argentina. She has received important recognitions to her professional work inside and outside of the country and in 2008 received the "Friedrich Schweitzer Medal" to the prominent scientist in Madrid, Spain. Caroline Sluyter holds a Master of Science in Agriculture, Food and Environment (Tufts University, Friedman School of Nutrition Science and Policy, Boston). 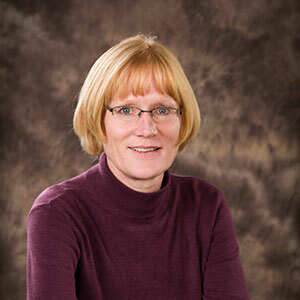 Currently she is the Program Director of Whole Grains Council. She is responsible for creating and executing special whole grain promotions, and for planning and managing our biennial Whole Grains Conference. 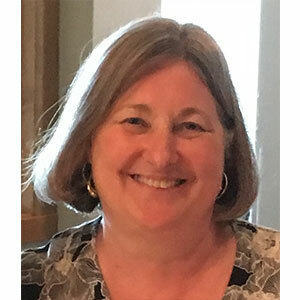 She also provides supervision and support to the Whole Grain Stamp program manager and manages the financial aspects of the Stamp program and delivers domestic and international presentations on whole grains and related topics to academic and industry audiences. Her presentation is entitled “Making Whole Grains the New Norm: Changing Consumer Attitudes & Perceptions in Latin America and Around the World”. Despite overwhelming evidence that we should be eating more whole grains, populations around the world struggle to meet recommended levels of intake. This session will identify consumer perception challenges and will present several models of success for changing consumer attitudes. It will discuss strategies that any community can implement, no matter where its people fall on the continuum of whole grain acceptance. 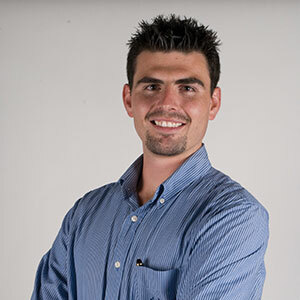 Daniel Guerrero studied Nutrition and Food Sciences in the Iberoamerican University at Mexico City, afterwards he studied a master degree in Marketing and has 13 years of experience working for the food industry. Currently he manages Nutrition and Regulatory Affairs for Latin America in Cereal Partners Worldwide, a long standing partnership between General Mills and Nestlé to produce and commercialize the Nestle Breakfast Cereals, translating nutrition sciences into consumer understanding, ensuring regulatory compliance and guiding the company on their purpose of making breakfast better through the improvement of the nutrition profiles of products, promoting the benefits of breakfast and a diet sufficient in whole grains. In his talk “Attitudes to whole grain foods, their benefits and liking: insights from consumers in Mexico, Colombia and a global perspective" he will cover an overview of the consumer perspective for whole grain, while it is relevant for them, they don’t know where to find it or how much to eat, highlighting the need to help consumers identify how much Whole Grains they should eat, identify Whole Grain food sources, educate them on its benefits and provide reassurance on the taste of Whole Grain options. Julie Miller Jones is a Distinguished Scholar and Professor Emeritus of nutrition in the Department of Family, Consumer and Nutritional Sciences at the St. Catherine University in St. Paul, Minnesota, USA. 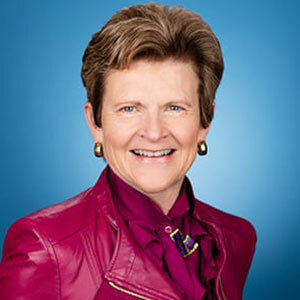 She is a scientific advisor for many organizations including the EU HealthGrain Platform on Whole Grains, Carbohydrates and Dietary Fibre, the Joint Institute of Food Safety and Nutrition for the University of Maryland and the US Food and Drug Administration, the carbohydrate committee of the International Life Sciences Institute of North America, the Grains Food Foundation, and the California Fig Advisory Board. Also, Jones is actively involved in trying to educate the consumer against frauds and myths in nutrition and food safety; she has authored Food Safety (Eagan Press) and edited a book Dietary Fibre: Food and Feed and Bio-active Ingredients. Her talk “Whole Grains: Just for the Health of It” Julie will speak about the benefits of whole grains. Those eating diets with the right balance of whole grains and refined grains show repeatedly in epidemiological studies to be associated with reduced risk for most diseases. In nearly all epidemiological studies the grain foods ingested are designated by the NOVA scheme as ‘processed' or ‘ultraprocessed’. Diets that recommend consumers avoid processed and ultraprocessed foods could impair intake of various nutrients, dietary fiber, grains and whole grains. Consumers need to be encouraged to choose all forms of grains and select the right balance of whole and refined grains as part of a balanced diet for optimal health and reduced risk of disease. Cristina M Rosell is a Full Research Professor in the Institute of Agrochemistry and Food Technology (IATA) that belongs to the Spanish Council for Scientific Research (CSIC). In 2015 she was appointed Director of IATA. 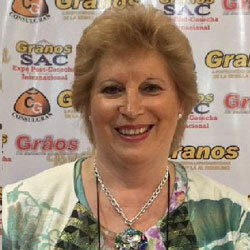 She is also an Associated Professor of the University of Valencia (UV). She has been involved in numerous National, European and International research projects related to cereals and baked goods. She developed an extensive activity in transferring knowledge through a close cooperation with stakeholders mainly dealing with the inclusion of cereals in the human diet through developing innovative and sensory accepted cereal based products based on comprehensive utilization and rational modulation of their biochemical and rheological properties. 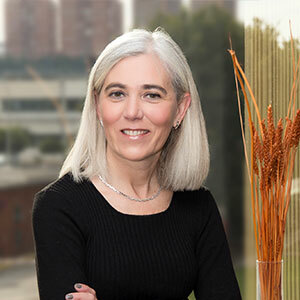 She is the President of Spanish Association of Cereal Science and Technology (AETC), and member of the American Association for Cereal Chemists (AACC). Regarding scientific activities, she has more than two hundred international peer reviewed scientific publications and book chapters on the cereals topic. Main research topics include: to enhance the marketability and healthfulness of cereals and grains commodities and processed products to meet consumer and producer demands. Biochemistry, rheology, quality and nutritional attributes, and consumer preferences are main areas of research. A holistic approach is applied in all the research projects. In her talk entitled “making healthier cereal foods by applying physical treatments”, she would like to share with all attendees the benefits of consuming bread and the alternatives we have to improve them nutritionally by using nutritious raw materials. In addition, approaches to physically modulate the digestibility properties of the resulting breads will be discussed. Dr. Figueroa (Juan) works with the Bio-organic Materials group at CINVESTAV (Center for Research and Advanced Studies campus Querétaro, Mexico), before that he worked 9 years for the malting and brewing industry in Mexico. He has published more than 180 scientific articles and 26 patents, some of which are in commercial use around the world. Juan explores the basic principles that govern functionality of grains for industrial applications, especially for tortilla, malting, brewing and wheat. His areas of special expertise are the Maxwell (stress relaxation) and Kelvin-Voigt (creep) generalized models as well as dynamic rheology (G´and G’’) for studying visco-elastic properties, and high fiber-low fat tortillas to prevent obesity, diabetes type II and cardiovascular diseases; Ultrasound, Microwave, Infrared and other non-conventional energies in grains and food processing. 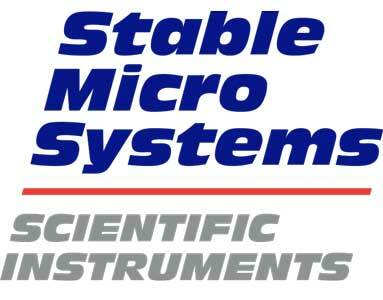 For characterization of bio-materials he uses FTIR, Impedance, ultrasound, X-ray diffractions, SEM, DSC, ohmic heating among other techniques. 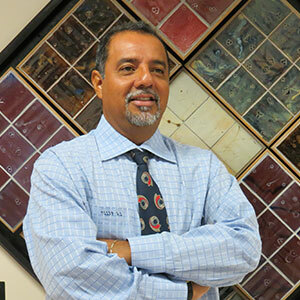 In the last 6 years he received the Texture Technology Award from AACC International. In 2012, 4th International Nixtamalization Congress awarded him with “Dios Yum Kaax” for developing an ecological nixtamalization process to produce whole-grain corn tortilla and the award “Francisco Vela” from San Carlos University of Guatemala. Juan also received the “Premio Alejandrina” (award) 2012 for the elaboration of Intelligent nanoparticles for encapsulation, and controlled release of bioactive compounds. In 2014 he got the Carl Wilhem Brabender award from AACC International. He graduated from North Dakota State University (M.Sc. and PhD in Cereal Science & Technology) and (B.Sc. in Industrial Chemistry) from “Universidad de Tamaulipas” Mexico. His talk “Evolution of nixtamalization process: advantages and disadvantages” is about nixtamalization. Nixtamalization is perhaps the most important technology for processing thousands of corn products for human consumption. Today, with the increasing of popularity of Mexican foods around the world, there is scientific interest in the topic. During nixtamalization changes at protein, starch and lipid levels are important for ensuring quality of end-products. He will present a summary of those technological developments. Larisa Cato is a cereal chemist and grain researcher, well versed in the wheat quality requirements of Australian international markets. Larisa is internationally recognized as an expert in the field of wheat quality and end product requirements. 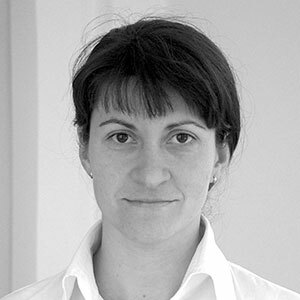 Larisa possesses a unique set of skills combining scientific, technical and market expertise. Prior to joining AEGIC, Larisa worked as an Asian Product Specialist with AWB Ltd. and with the Department of Agriculture and Food WA to ensure the WA wheat industry was internationally competitive. Her talk “Sponge & dough baking with australian wheat” will discuss typical baking processes used in SEA, addressing wheat quality requirements to match desired product quality. Specifically the presentation will discuss use of Enzymes in a sponge & dough baking system to improve end product quality. Bread quality will be discussed in terms of bread volume, crumb structure and crumb softness. 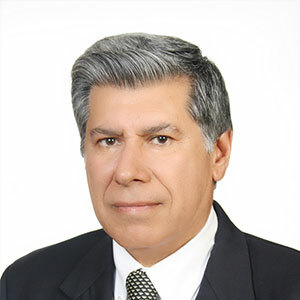 Luis Arturo Bello has been professor for more than 30 years at the Center for Development of Biotic Products of at the Instituto Politécnico Nacional located at Yautepec, Morelos, Mexico. He has been responsible of developing mainly with external funds the best research center for starch and other polysaccharides research in this country. Dr. Bello has developed research ties with many professors associated to universities in Mexico and distributed throughout the globe. He spent several years performing postdoctoral and research residences in the USA (Purdue University and University of Illinois), France (INRA-NANTES), England (University of Nottingham). He has published more than 300 papers in refereed recognized international journals, mostly on his main area of expertise: starch/polysaccharides chemistry and technology and their implications on human health. His publications with a current h factor of 36 have been cited more than five thousand times according to the data base of Scopus. 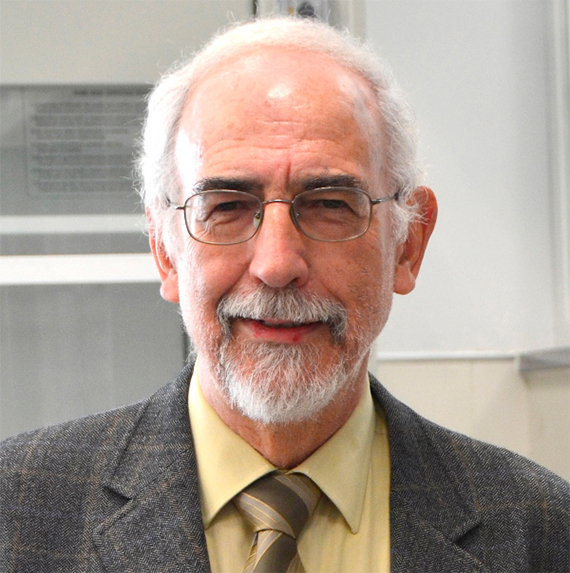 He has become one of the main starch scientists worldwide and reached the most prominent positions in the Mexican National Research System (SNI III) and Mexican Academy of Sciences. He has been associate editor for relevant Journals such as Cereal Chemistry, Starch/Starke, J. Cereal Sci., J. Sci. Food & Agric., Plant Foods for Human Nutrition, CyTA-Journal of Food and Revista Mexicana de Ingenieria Quimica. As a result of his scientific impact, Dr. Bello has been the recipient of many distinguished awards including the national “Coca Cola Award” for the most prominent Mexican food scientist. His talk “Retrospective study of starch digestibility in corn tortilla” will be focused on starch. Starch digestion in foods is a topic that has been increased the interest due to its relationship with health problems. Tortilla is a starchy food and its consumption was related to high starch digestibility with the concomitant increase of glucose supply to the blood; however, tortilla can contain resistant and slowly digestible starch, both associated with some health benefits. 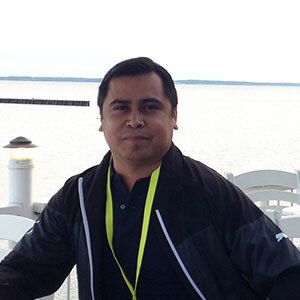 Luis Alberto Ramírez Barajas is currently a Industry Technology Specialist of Food & Nutrition and Baking in Novozymes México. More than 8 years of experience in the design, development and implementation of product development projects focused on the baking area, dairy industry and products based on chili and emulsions. Leader of different technology transfer projects and process adaptation. Experience in research on emerging technologies projects for vegetables conservation. Food Engineer from Tecnológico de Monterrey. His presentation “Introduction to baking enzymes” will give information on basic enzyme chemistry, how enzymes are produced and utilized in variety of baking applications. Jos van Boxtel holds a Ph.D. in Agricultural Sciences/Plant Breeding from Wageningen University in the Netherlands. His Ph.D. research work was conducted at CIRAD, Montpellier, France, studying the genetic transformation of coffee. From 1995 to 1999 he was a post-doc studying virus resistance in cowpea through genetic engineering at the John Innes Centre in the UK. From 1999 to 2002, he returned to CIRAD, this time studying salt and drought tolerance in rice through genetic engineering. And before joining Arcadia in 2003, he had worked at UC Davis on salt tolerant rice. In addition to production of transgenic plants for the various Arcadia projects, his Plant Transformation Group works on innovating plant gene modification techniques which can be used for enhancing environmental and health benefits of agricultural crops. Currently, Jos is leading projects to develop non-GM low gluten wheat and heat stress tolerant wheat at Arcadia. His presentation entitled “Enhancing shelf life and flavor of whole wheat flour” will be focused on: Reducing the production of bitter and rancid compounds that accumulate during whole wheat flour storage could help improve consumer acceptance, consumption of whole grain wheat products and benefit millers and bakers by increasing the shelf life. New wheat varieties with these characteristics have been developed using TILLING (Targeting Induced Local Lesions in Genomes), a non-transgenic method for novel trait development. Dr. Senay Simsek is a professor at North Dakota State University (NDSU). She moved to the USA in 2002 and started her PhD in Food Science at Purdue University. She completed her PhD in December 2006 and started working as an assistant professor in Plant Sciences Department at NDSU in January 2007. She has leadership position in Hard Spring Wheat (HSW) quality laboratories at NDSU. She has authored and co-authored hundreds of research papers, and conference contributions in the area of wheat quality, mycotoxin analysis and carbohydrate chemistry. Her program works with wheat breeding programs to insure that high quality varieties with good disease package would be released. She is an active member of the America Association of Cereal Chemists International (AACCI), a member of the AACCI Carbohydrate Division, and a member of the Wheat Quality Council (WQC), and also serves on Spring Wheat Technical board of Wheat Quality Council. In 2011, Dr. Simsek was awarded the Larson/Yaggie Excellence in Research Award 2011 by the NDSU College of Agriculture and the Early-in Career Award of Excellence during the U.S. Quality Grains Research Consortium annual meeting. She is the recipient of the 2013 AACC-I Young Scientist Research Award. The first North Dakota State University Bert L. D’Appolonia Endowed Associate Professorship in Cereal Science and Technology of Wheat has been awarded to Dr. Simsek in August, 2013. Dr. Simsek’s presentation “Mycotoxins and health“ will provide insight into the common mycotoxins found in wheat grain their toxicity for humans. Her presentation will focus on deoxynivalenol (DON) and deoxynivalenol-3-β-d-glucopyranoside (D3G). Simon Fonteyne is a cropping systems agronomist at the International Maize and Wheat Improvement Center (CIMMYT) and coordinates a network of agronomic research trials in various projects across Mexico. Before working at CIMMYT he did a Ph. D. at Ghent University and the Flemish Institute for Agricultural and Fisheries Research in Belgium, investigating the cold tolerance of the biomass crop miscanthus. In his talk “MASAGRO’s participative research network across Mexico: adapting conservation agriculture to local conditions” Simon will describe MASAGRO project, in which CIMMYT has set up collaborative research trials across Mexico in order adapt conservation agriculture to local conditions and make maize and wheat production more sustainable. This presentation will give an overview of this network and summarize some of the results and impacts of these trials. 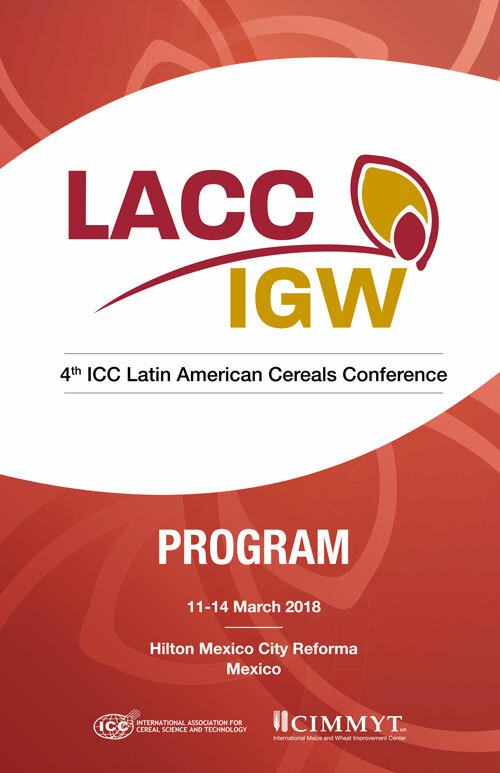 LACC4 - 4th ICC Latin American Cereals Conference 11-14 March 2018. A special Combined-Ticket that includes registration fee for both conferences with 15% discount is offered! Keywords: enter your keywords (max. 5) - press return button after each keyword to enter. The LACC Scientific Committee welcomes submissions for oral and poster presentations across eight themes of the Conference: quality and quality assessment; cereal processing technologies; cereal foods; nutrition and health;food safety; food security; recent developments in breeding and agronomy; food legumes; feeds and animal feeding. 1,500 characters abstracts may be submitted for oral or poster presentation. The LACC Scientific Committee will review the submitted abstracts. All abstracts accepted will be published in the Abstracts book of the conference. The IGW Scientific Committee welcomes submissions for oral and poster presentations across eight themes of the Conference: contribution of wheat grain components and their interactions to industrial and nutritional quality (gluten proteins, carbohydrates, lipids, bioactive components, enzymatic activity); genetics and breeding for wheat quality improvement; innovations on the analysis of wheat quality parameters: technologies and methodologies; progress in milling and processing technologies; end-use quality of bread and durum wheat and other cereals possessing gluten-like proteins; industrial and non-food uses of gluten; health benefits of wheat and gluten adverse reactions; deploying genetic resources for end-use and nutritional quality improvement. 2,000 characters abstracts may be submitted for oral or poster presentation. The IGW Scientific Committee will review the submitted abstracts and those authors with abstract accepted will be asked to submit a short paper of 4 pages length (oral presentation) or 2 pages length (poster presentation) to be published in the Proceedings book of the conference. LACC/IGW looks forward to partnering with key sponsors and exhibitors in the lead up to and during the conference. Companies, sponsors and supporters of LACC and IGW that provide products and services related to the productive chain of grain and cereals, will present stands in the exhibition area of the conference venue. 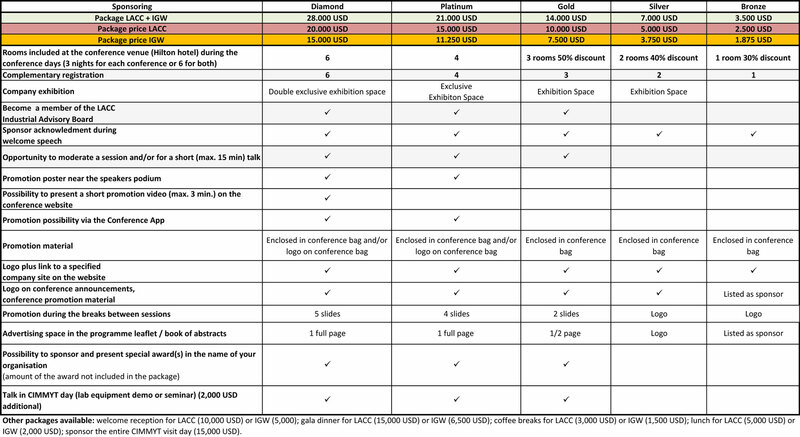 A range of packages have been developed to ensure maximum exposure to conference delegates and benefit to our sponsors. The exhibition is a great showcase for sponsors and supporters who will have directly contact with a targeted public. 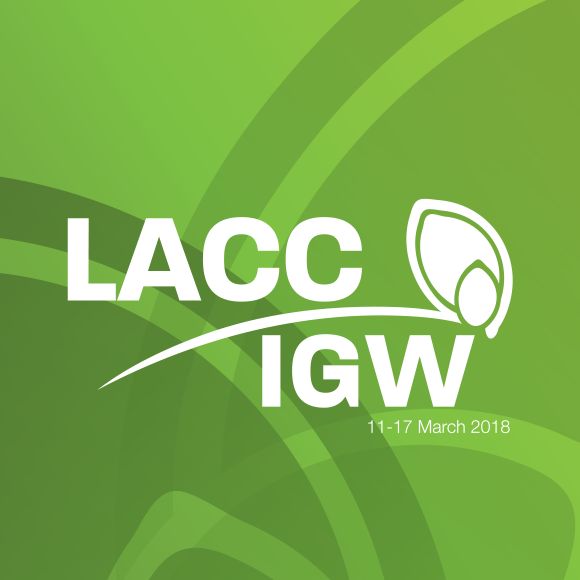 Why sponsor LACC and/or IGW conferences? About 450 national and international visitors from all relevant disciplines as well as renowned exhibitors will join the conferences. You will have many options to present your company as sponsor to representatives of industry, science and research, decision makers and interested parties. Sponsoring and exhibiting provides an excellent opportunity to promote your company, to support your brands and to maintain a high profile among delegates before, during and after the conferences. 7-day conferences with a wide range of networking opportunities and possibilities for active involvement. Numerous top speakers from science and industry. Aligning your company with this powerful educational experience demonstrates your commitment to assisting attendee development at a very personal level. Your representatives will network informally with delegates from Mexico, Latino America and overseas. The Hilton Reforma is the official hotel of the LACC4/IGW events and has offered special discounted room rates for the conference period. In order for us to ‘earmark’ enough of these discounted rooms for LACC/IGW participants, we had to sign a contract guaranteeing that a certain number of our participants will stay in the set of rooms we blocked at the Hilton (called the “block”). 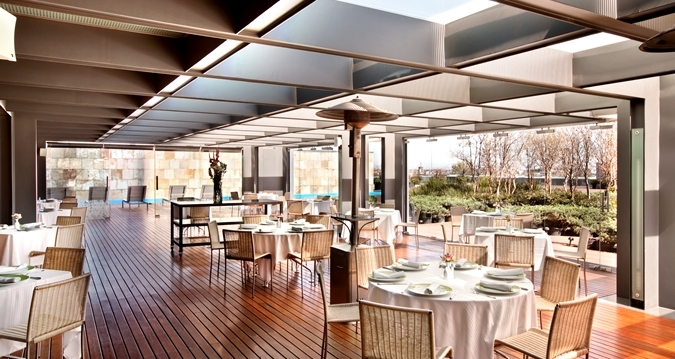 Your choice of hotel affects the CIMMYT’s and ICC’s ability to fulfil our contractual agreement with the Hilton. Thus, we kindly ask that if you can, please choose to stay within the LACC/IGW block. 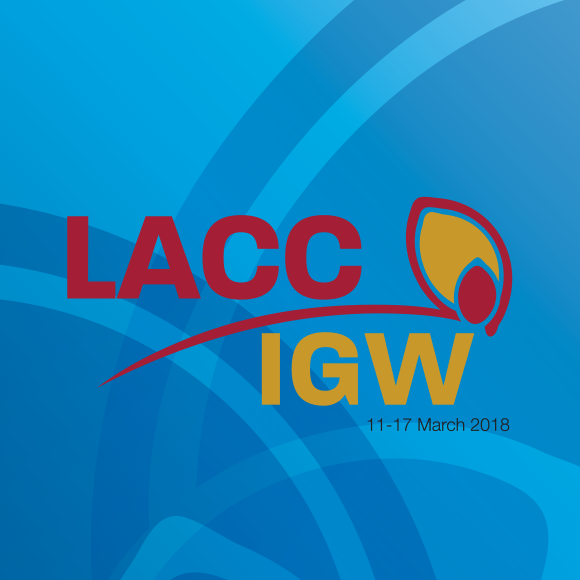 The LACC4/IWG room rates apply only for the conference period (11-18 March 2018), plus two days before and two days after. The room rate is not transferable to other dates of stay. Buffet breakfast is included in the rate, as well as Wi-Fi Internet and tips for the cleaning staff and bell boy. Cancellations will be accepted up to 7 days before the conference begins. Any cancellation after 5 March 2018 will result in the full reservation cost plus taxes to be charged to the participant’s credit card. No shows will also be charged the full room reservation cost plus taxes. Access to the gym and 10% discount at the hotel spa is offered to hotel guests. * Other accommodation options will be available soon. To get to the hotels from the airport, take an official taxi from the Mexico City airport. After exiting customs, there are various taxi stands in the airport lobby where you can purchase a taxi ticket, and then you proceed outside to where the taxis are waiting. With any additional questions about travel to Mexico City, please do not hesitate to contact the conference organizers. 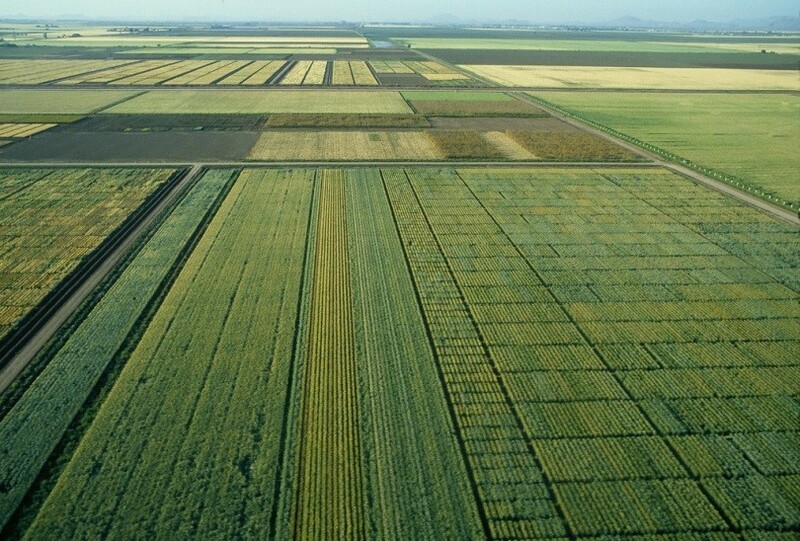 Located in the Yaqui Valley, an irrigated desert farm setting near Ciudad Obregón, Sonora state, in northwestern Mexico, the Norman E. Borlaug Experiment Station (CENEB, after its Spanish name Campo Experimental Norman E. Borlaug), is often called the Mecca of wheat scientists because of its weather and soil conditions, history, and the impact of the breeding research conducted there. During the 1940s-50s, Dr. Borlaug and Mexican researchers, assistants, and Yaqui Valley farmers worked near this location to develop high-yielding, disease resistant wheat varieties that made Mexico self-sufficient for wheat and were soon adopted throughout South Asia, nearly tripling that region’s wheat output by the 1970s. Known as the Green Revolution, this phenomenal spread of improved varieties and farming practices---along with development model and ideals that supported it---led to the creation of international centers such as CIMMYT to eliminate food insecurity through applied science and partnerships. In Mexico, the groundbreaking work of the Yaqui Valley team catalyzed a unique, long-standing partnership between the region’s farmers and public agricultural research institutions that continues to benefit national agriculture and CIMMYT’s globally targeted wheat research. A direct result of that partnership was the establishment by southern Sonora farmers of CENEB, a world-class wheat research facility that also hosts offices of Mexico’s National Institute of Forestry, Agriculture and Livestock Research (INIFAP) and of the federation of Sonoran farmer associations known as Patronato, which owns the land on behalf of state farmers. Weather conditions in the Yaqui Valley comprise long, extremely hot summers and short, warm winters with cool mornings. Average summer temperatures vary between 10° and 37° C, with rare cases of averages as low as 6° C or as high as 39° C. Day length varies significantly throughout the year, with 10:25 hours of daylight at winter solstice (20-21 December) and 13:53 hours of daylight at summer solstice (20 June). Average annual relative humidity is 69% and ranges between 62% and 75%. 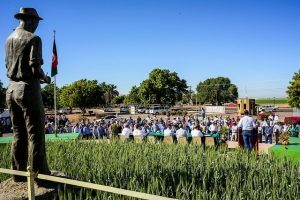 These conditions are ideal for selecting experimental wheat lines adapted to the diverse settings CIMMYT targets worldwide. Thanks to the prevailing environmental conditions, excellent station management, well-maintained infrastructure, and the enduring support of local farmers and authorities, CENEB provides a unique, outstanding platform for research to enhance wheat yield potential, develop varieties with tolerance to drought and heat and resistance to diseases and pests, and to explore the physiological and genetic mechanisms underlying these and other traits. In combination with CIMMYT’s experiment station near Toluca, state of Mexico, in the Mexican highlands, CENEB has contributed significantly to CIMMYT’s status as the primary public source of high-yielding, widely adapted wheat germplasm, currently used in nearly half of all wheat varieties worldwide and bringing annual economic benefits as high as $3.1 billion, while contributing to improved food security and livelihoods. 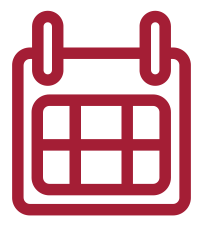 The Borlaug Global Rust Initiative (BGRI), coordinated by Cornell University. 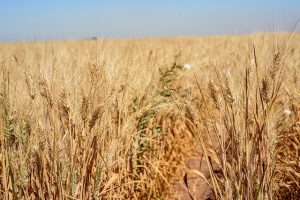 The Delivering Genetic Gains in Wheat project, led by Cornell University and funded by the Bill & Melinda Gates Foundation and the UK Department for International Development (DFID). The International Wheat Yield Partnership (IWYP). USAID Feed the Future Innovation Lab for Applied Wheat Genomics. In 2018 Global Wheat Program’s Visitors Week will be celebrated between March 20 and March 23. For any further information and registration for this event please contact Maria Teresa Rodríguez (M.T.RODRIGUEZ@CGIAR.ORG) and Carlos Guzmán (C.Guzman@cgiar.org). 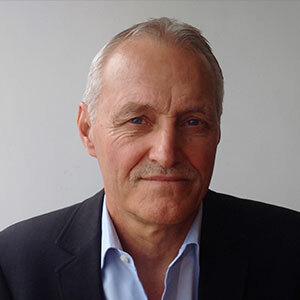 Dr. Wolfgang H. Pfeiffer, Director R&D HarvestPlus, provides overall leadership for HarvestPlus ‘Operations’ to achieve the technological and commercial project goals: generating micronutrient-dense, high-yielding, profitable varieties of key staple foods in crop development. Delivery management responsibilities embrace the design and implementation of effective delivery strategies in target countries with HarvestPlus country teams by forming operational and strategic partnerships along value chains in areas such as seed supply, farm extension, marketing and advocacy. He obtained his M.S. and Ph.D. degrees in Agricultural Sciences from Stuttgart-Hohenheim University in Germany. Prior to joining HarvestPlus in 2005 he worked for more than 20 years at the International Maize and Wheat Improvement Center (CIMMYT) in Mexico and was responsible for applied and strategic bread wheat, durum wheat, and triticale improvement under CIMMYT's global germplasm development mandate. His talk “Harvestplus Alliance: Research, Development and Delivery of Micronutrient Dense Crops” will discuss biofortification under the HarvestPlus alliance in the context of generating micronutrient-dense, profitable varieties of key staple foods, and the challenges and strategies in delivering these crops in target countries by engaging actors along the entire value chain to generate sustainable markets for seed and biofortified products under social and commercial marketing situations. Dr B.M. Prasanna is the Director of CIMMYT’s Global Maize Program and the CGIAR Research Program (CRP) MAIZE. 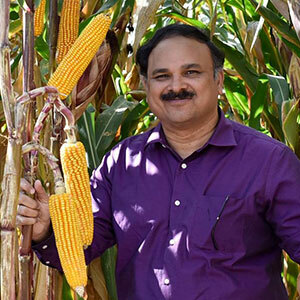 Based in Nairobi (Kenya), Prasanna leads the multi-disciplinary CIMMYT Global Maize Program team, with strong focus on maize improvement in sub-Saharan Africa, Latin America and Asia. 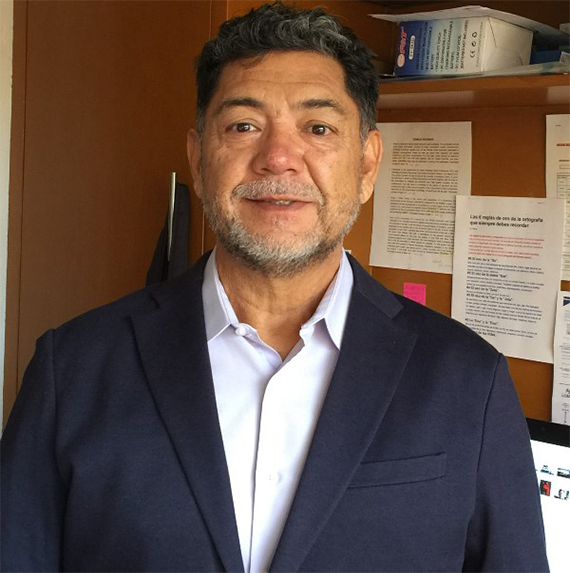 He provides technical oversight for an array of multi-institutional projects on development and deployment of improved stress resilient maize germplasm in the tropics, besides deploying novel tools and technologies for enhancing genetic gains and breeding efficiency. Prasanna is also leading the CRP MAIZE, an alliance of 300 research and development institutions worldwide that seeks to mobilize global resources in maize research and development to achieve a greater strategic impact on maize-based farming systems in Africa, Asia and Latin America. Under Prasanna’s leadership, CIMMYT established the state-of-the-art maize doubled haploid facility at Kiboko in Kenya. Prasanna and team have been at the forefront in tackling the maize lethal necrosis (MLN) disease epidemic in eastern Africa. He is also presently coordinating CIMMYT-led intensive multi-institutional efforts for fighting the challenge of Fall Armyworm (Spodoptera frugiperda) outbreak across Africa. Prasanna published more than 130 research articles in journals of repute, besides 48 book chapters and 10 edited volumes. He was recognized with awards and honors for his contributions to maize research and post-graduate teaching excellence. Dr. Prasanna’s presentation on “Maize-based Food and Nutritional Security in the Developing World” will highlight the intensive multi-institutional and multi-disciplinary efforts made on breeding for biofortified maize (particularly QPM, provitamin A, and high-Zn), and the opportunities for scaling-up adoption and impacts of nutritionally enriched maize cultivars in the developing world, especially in sub-Saharan Africa, Asia and Latin America. Zhonghu He is a distinguished scientist with the Global Wheat Program and Country Liaison Officer in China for the International Maize and Wheat Improvement Center (CIMMYT). Additionally, he is a research professor at the Chinese Academy of Agricultural Science (CAAS) the director of China’s National Wheat Improvement Center. He established and led the internationally recognized CIMMYT-CAAS wheat program. 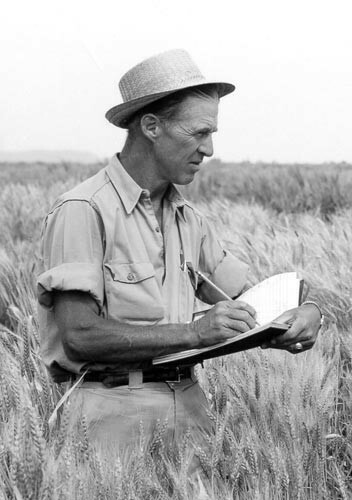 His major contributions to wheat improvement include the development and validation of more than 50 gene-specific markers through the application of comparative genomics and the release of 26 improved cultivars. He has authored or coauthored more than 300 papers in refereed journals, including 130 publications in international journals, and trained more than 80 postgraduates and visiting scientists. He received a CGIAR (Consultative Group on International Agricultural Research) Regional Award in 2007, the First Class Award in Science and Technology from the Chinese State Council in 2008, was selected as fellow of the Crop Science Society of America in 2009 and Agronomy Society of America in 2013, and was awarded the China Agriculture Elite Award in 2012. His presentation: ”molecular marker development and application for improving qualities in bread wheat“ is addressing the progress of genotyping technologies and their integration on traditional breeding. Gideon Kruseman leads the foresight, ex-ante impact assessment and targeting research at the International maize and Wheat Improvement center (CIMMYT). He also coordinates the community of practice on socio-economic data that is part of the CGIAR Platform for Big Data in Agriculture. Gideon holds a PhD in development economics from Wageningen University. 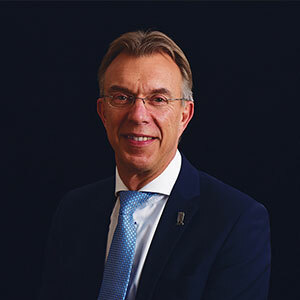 He has worked as development and environmental economist in international agricultural research (CIAT, IFPRI, CIMMYT), academia (Wageningen University and Free University Amsterdam), for development NGOs and in the Dutch national agricultural research system on a wide variety of topics. His current research focusses on the consequences of climate change, dietary change, rural transformation and, new and emerging biotic stress on research priority setting for maize and wheat agri-food systems. Moreover, he engages in ex-ante impact assessment of pipeline technologies and agricultural research investments. Although the target geographies of his research are all low and middle-income countries where maize and wheat-based agri-food systems dominate, the main geographic focus of his work is on eastern and southern Africa, South Asia and Mexico. 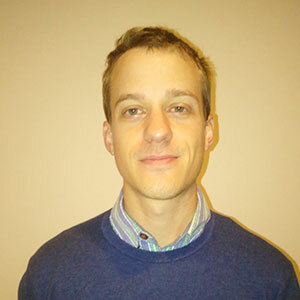 Having worked in interdisciplinary and multidisciplinary teams building bridges between different sciences, he enjoys diving into complex issues and developing models and creative methodologies for optimization and data analysis especially using GAMS, AWK and R.
Gideon applies his skills to better target research in order to meet the sustainable development goals of ending hunger and poverty through social inclusive technology development. His presentation entitled "Milling quality: the Achilles heel of cereal foresight studies?" will be focused on: expected consequences of climate change causing damage to wheat quality are erratic rainfall patterns, heat stress and elevated CO2 levels. Foreseen shifts in consumption patterns will affect the consequences of changes in wheat quality in different ways. Using a suite of models and tools we answer the question if fluctuating milling quality matters in the long run for food security. Starting 1982, Markus Löns has worked several years as baker in some German bakeries before he extended his knowledge at a High School for Food and Domestic Economy. Following this experience he graduated as Engineer for Food Technology, specializing in flour and grain, and has worked some years at the Leibniz University Hannover, Germany, as the head of the research and training laboratory baking & sweets. 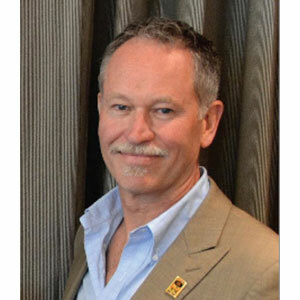 Markus joined Brabender® in 2002 as sales director for the food department. The first years he worked worldwide at Brabender® as sales specialist for lab equipment, especially rheology, moisture, milling, and viscosity. 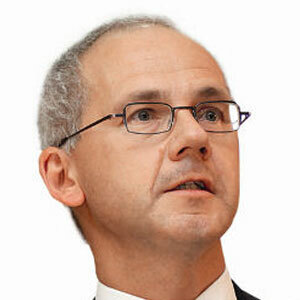 In 2012 he was appointed head of the food department as Senior Sales Director Food. From October 2016 Markus changed again his position inside of Brabender and is now as Director Food Division responsible for the complete Food Division. His talk New solutions to automate and optimize quality control and lab analytic shows some milestones how to satisfy your customers with quality and how to increase the success of your company. Developed along the value chain from grain reception to the baked product for the consumer, Brabender as your partner presents the solution that you need. His presentation entitled “Enhanced gluten properties in soft kernel durum wheat” will explain the enhancement of dough strength and its effect on bread baking by combining existing translocations involving the Glu-D1 High Molecular Weight (HMW) Glutenin subunits Dx2+Dy12 and Dx5+Dy10 with the soft kernel trait. Both HMW alleles resulted in increased dough strength. Dx2+Dy12 appeared to provide a better balance of elasticity and extensibility, whereas Dx5+Dy10 produced overly strong doughs. Her presentation entitled “Gluten: Facts, Factoids and Fallacies” is addressed to the allegations about gluten proteins impacts on health. In addition, it is discussed the economic and nutritional issues of gluten-free food and diets, and the long-term consequences of the adoption of such diets. 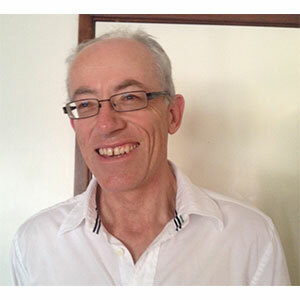 Mike Sissons holds a PhD in Cereal Chemistry from the University of Adelaide. 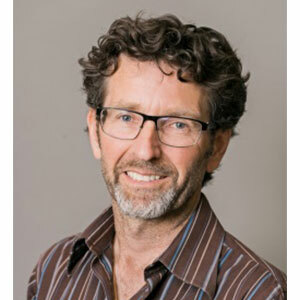 Currently, he is Principle Research Scientist (Head of durum chemistry)/Adjunct Professor with the University of New England, in this role he coordinates and supervises the routine quality evaluation of breeder’s lines for Durum Breeding Australia (involved in release of 12 durum wheat varieties) and conducts basic and strategic research on durum wheat science. He posses Professional Membership of the Australasian Grain Science Association (formerly Royal Australian Chemical Institute, Cereal Chemistry Division) from 1995 to date; American Association of Cereal Chemists International from 1997 to date; Chair of the AACC International pasta technical committee from 2009 to date; and Membership of editorial board of Cereal Chemistry from 2013 to date. He has published 58 refereed scientific papers, 8 book chapters and over 76 conference presentations in several countries. His current research interests are: utilization of protein fractions from durum wheat bran to improve nutritional value of durum wheat pasta (PhD project); identification of genetic variation for heat tolerance in durum and bread wheat (collaboration with Univ. of Adelaide); new AACCI method for texture analysis cooked pasta firmness and cooking time; assessment of novel protein and starch durum lines (collaboration Univ. 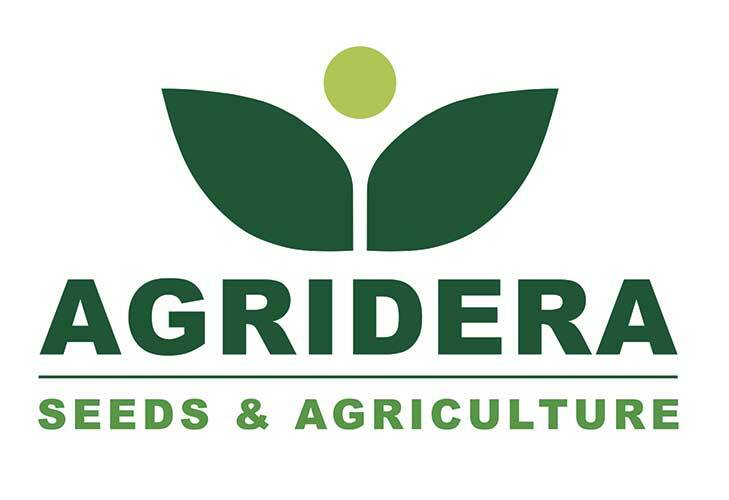 Tuscia); determination of impact of genotype, environment and their interaction on durum wheat technological properties; and development of durum wheat with extremes of %B starch granule content. His presentation entitled “Can manipulation of the glutenin composition of durum wheat improve bread loaf volume and still maintain pasta quality?” is explaining the effect of chromosome manipulation of glutenin subunit composition on the gluten quality in durum wheat to be included in bread making. 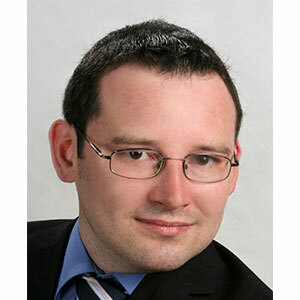 After his graduation in food chemistry at the Technical University of Munich Dr. Markus Brunnbauer was engaged in the working group of Prof. Peter Koehler at the German Research Center for Food Chemistry in Freising for 6 years. There, the main focus of his scientific work was on the influence of high hydrostatic pressure on food components, mainly proteins, and on investigating the chemical and technological properties of wheat gluten. Therefore he also worked on developing new analytical methods based on mass spectrometry and rheology for determining the properties of gluten proteins. Since 2013 he has been working in the R&D department of backaldrin International The Kornspitz Company. The company is located in Asten, Austria and is an international manufacturer of baking improvers and premixes. Backaldrin offers individual solutions for the baking industry. Beside of Austria the company has subsidiaries in Jordan, Mexico, Switzerland, South Africa, Ukraine and Russia. In his presentation entitled “modern applications of vital gluten in bakery products and higher demands for its quality” is giving an update about modern applications for vital gluten in bakery products. The resulting higher demands for its quality are discussed and suggestions are made for defining suitable quality parameters for vital gluten. Alison Lovegrove gained her PhD from King’s College London and has for the last 13 years worked within the Cell Wall Group in the Department of Plant Science Rothamsted Research where she is a Senior Research Scientist. Her main focus of research is in the area of wheat quality exploiting cereal grains for improved human health and processing, specifically the content and composition of dietary fibre. In the newly funded Designing Future Wheat (DFW) UK wheat research programme, she is a Co-I in the Enhanced Health Benefits work package. Alison also currently leads the BBSRC Newton Fund project Enhanced Rice Quality for Health (EnRicH). Her presentation entitled “Exploiting natural and induced variation to improve the content and composition of dietary fibre in wheat grain” is addressing the development of new types of wheat with high arabinoxylan and β-glucan fibre in white flour, by exploiting natural as a strategy to improve the health of large populations at low cost. Dr. Susan Altenbach is a Research Biologist at the USDA-ARS Western Regional Research Center in Albany, CA USA where she utilizes biotechnology and proteomics approaches to explore how environmental conditions influence protein composition, quality and immunogenic potential of wheat flour. She developed a comprehensive 2-D map of the wheat flour proteome in which nearly all of the abundant proteins were identified by tandem mass spectrometry and associated with specific gene sequences. She used this map to identify quantitative changes in flour protein composition that occur in response to the application of post-anthesis fertilizer or high temperatures during grain development. Since some of these changes may be responsible for variability of end-use quality, she utilized transgenic approaches to establish links between flour quality and proteins that change in response to the growth environment. In addition, Dr. Altenbach has characterized wheat genes and proteins responsible for food allergies, celiac disease and non-celiac wheat sensitivities. Her current work focuses on developing strategies to reduce the immunogenic potential of wheat flour. She developed transgenic wheat in which the major sensitizing allergens in a severe food allergy were eliminated without adverse effects on flour end-use quality and is currently exploring the use of genome editing to develop more healthful wheat that can be incorporated into conventional breeding programs. In her presentation entitled “biotechnology and breeding strategies for the development of wheat with reduced allergenic potential” is introducing two strategies used to reduce the immunogenic potential of wheat flour. In one, -5 gliadins, major sensitizing allergens in a severe food allergy, were eliminated by RNA interference while in the other a mutant line missing proteins encoded at the Glu-B3 and Gli-B1 loci was selected from a doubled haploid population. Efficacies of the two approaches will be compared. His presentation entitled “Reduced gluten and increased lysine levels by single gene disruption in wheat” is about the identification of the genetic lesion underlying a recessive, low gluten mutation (lys3a) in diploid barley. The use of TILLING to identify induced SNPs in the three homoeologs of the corresponding wheat gene. Combining inactivating mutations in the genome of non-transgenic hexaploid bread wheat lines, lowered gliadin and LMW glutenin accumulation by 75% and increased free and protein-bound lysine by 33%. 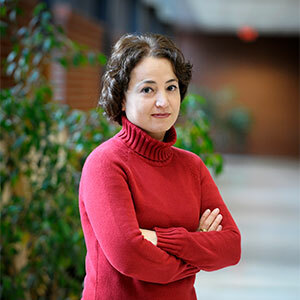 Senay Simsek is a professor at North Dakota State University (NDSU). She moved to the USA in 2002 and started her PhD in Food Science at Purdue University. She completed her PhD in December 2006 and started working as an assistant professor in Plant Sciences Department at NDSU in January 2007. She has leadership position in Hard Spring Wheat (HSW) quality laboratories at NDSU. She has authored and co-authored hundreds of research papers, and conference contributions in the area of wheat quality, mycotoxin analysis and carbohydrate chemistry. Her program works with wheat breeding programs to insure that high quality varieties with good disease package would be released. She is an active member of the America Association of Cereal Chemists International (AACCI), a member of the AACCI Carbohydrate Division, and a member of the Wheat Quality Council (WQC), and also serves on Spring Wheat Technical board of Wheat Quality Council. In 2011, Dr. Simsek was awarded the Larson/Yaggie Excellence in Research Award 2011 by the NDSU College of Agriculture and the Early-in Career Award of Excellence during the U.S. Quality Grains Research Consortium annual meeting. She is the recipient of the 2013 AACC-I Young Scientist Research Award. The first North Dakota State University Bert L. D’Appolonia Endowed Associate Professorship in Cereal Science and Technology of Wheat has been awarded to Dr. Simsek in August, 2013. Dr. Simsek’s presentation “Immunomodulatory Activities of Wheat Arabinoxylan Hydrolyzates” will provide insight into arabinoxylans (AX), major non-starch polysaccharides found in wheat. Dr. Simsek will explain the biological functionality of AX in cell culture model systems. Maryke Labuschagne is a professor in Plant Breeding at the University of the Free State, Bloemfontein, in South Africa. She heads a South African Research Initiatives Chair in quality and disease resistance in field crops. Her research interests are focused on gluten proteins and their relationship with baking quality in wheat, and on the genetic improvement of nutritional value in field crops, specifically beta carotene in maize, cassava, sweet potato and plantain, and iron and zinc and phenolic compounds in some field crops. Her passion is training of especially PhD students in Africa, and working in the drive towards improved food security in Africa. Her presentation: ”Proteomics in wheat gluten research: where are we standing and where are we going?“ is providing an overview on the past and current status of proteomics as a tool in gluten research, and also the direction proteomics research is taking in terms of gluten proteins. Sewa Ram was borne on 1st August 1962 in India. He did graduation and Post-Graduation from Meerut University, Meerut and Ph.D. from Indian Agricultural Research Institute, New Delhi, India. He joined Indian Council of Agricultural Research on 02-02-1990 as a Scientist, Plant Biochemistry. Joined Indian Wheat and Barley Research Institute, Karnal in February, 1997 and since then he has been working on wheat quality. Currently, he is Principal Scientist and heading the wheat quality research in the institute. In his presentation entitled “assessment of genetic variability and development of high phytase and low phytic acid genotypes in wheat” is introducing the identified large variations in phytase and phytic acid levels in wheat germplasm and further enhancement through mutation breeding. High phytase mutant lines were developed that are very useful resource for breeding high yielding wheat varieties with high phytase levels and consequently higher bioavailability of Fe and Zn to human beings. This could lead to both improved human health and more sustainable agriculture. Bin Xiao Fu is a research scientist and program manager at the Grain Research Laboratory (GRL) ofCanadian Grain Commission (CGC). He manages all activities related to research and technical projects in the Bread and Durum Wheat Research unit at GRL. The overall goal of his program is to provide scientific support for the Canadian wheat and durum quality assurance system. His activities fall under two categories: research on quality and quality assurance. 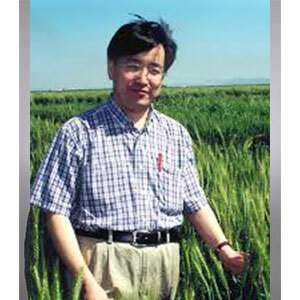 Dr. Fu’s research focuses on 1) development of new methods or the modification of existing ones to measure wheat quality more effectively and efficiently; 2) investigation of the effects of grading factors on wheat quality to support the Canadian grain grading system; and 3) identification and characterization of biochemical components that are responsible for wheat quality. Before joining CGC in 2009, he was the head of Asian Products Technology at the Canadian International Grains Institute for over 10 years. 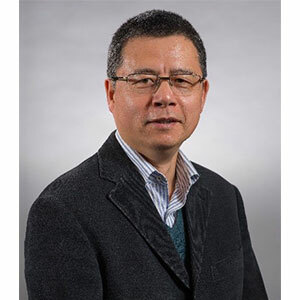 Dr. Fu received his PhD in Cereal Chemistry from The University of Manitoba in 1996 followed with one year postdoc research at Cereal Research Centre (Winnipeg), Agriculture and Agri-Food Canada. His presentation “Rapid assay for functional protein fractions in wheat flour or wholemeal” is introducing a high throughput micro-scale (in milligrams) protocol for the rapid quantification of functional protein fractions to calculate the ratios of polymeric to monomeric proteins, and insoluble to soluble glutenins in wheat flour or wholemeal. The proposed protocol can be used as a tool for screening in breeding programs or to investigate the effects of genotype, environment, and their interactions on dough functionality. 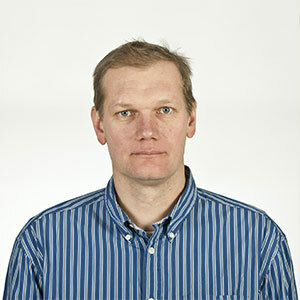 Till Pellny is a Senior Research Scientist in the Plant department at Rothamsted Research in the UK. He is an Agricultural Engineer with a degree from the University of Hanover, Germany and a PhD in Plant Sciences from the University of Nottingham. As a Plant and Cell Biologist he is currently working to improve the dietary fibre composition of wheat for human consumption, animal feed stocks and industrial processes. The work includes gene discovery and evaluation by transgenesis and mutagenesis as well as the utilisation of natural variation. He is interested in breadmaking quality especially with reduced nitrogen inputs. 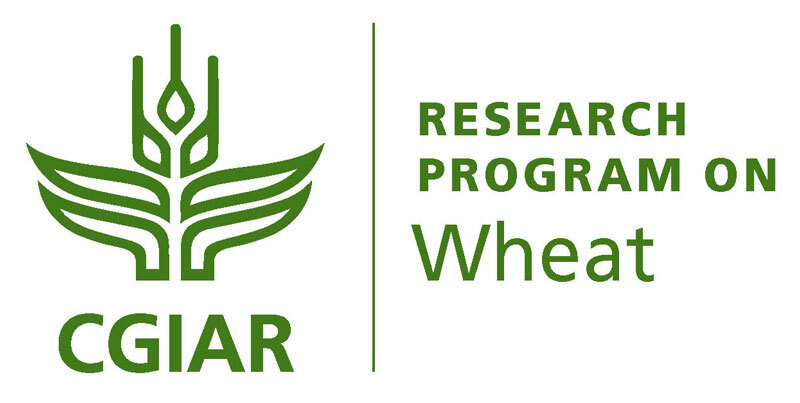 Till is working within the newly funded Designing Future Wheat (DFW) UK wheat research programme and is a Co-I in the Newton-Bhabha funded Virtual Indo-UK Centre for Nitrogen Use Efficiency in Wheat (INEW). 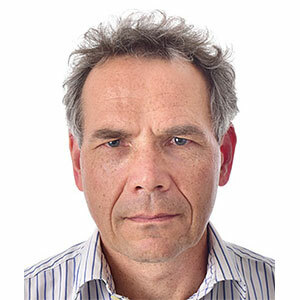 At Rothamsted since 2006 he has previously worked on assimilation partitioning and has a background in stress biology and redox regulation of the cell cycle. His presentation entitled “Developing new types of wheat with good processing quality at low grain protein content” is addressing the questions: Can we make wheat that bakes well without the requirement of high levels of protein? We are collating a large data set for forty European Wheat varieties grown at multiple sites over three years to dissect different properties that determine bread making quality. Can we define underlying factors and also developing proxy tests to predict baking performance at low protein? 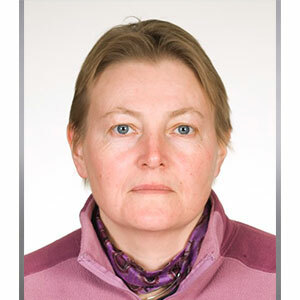 Marianna Rakszegi is a principal investigator of cereal chemistry at the Cereal Breeding Department of the Centre for Agricultural Research, Hungarian Academy of Sciences (HAS). As the leader of the quality lab, her main field is the identification and development of biochemical and molecular-biology tools to develop a more efficient selection system for quality-oriented wheat breeding. Her research mainly focuses on storage proteins, starch, dietary fibers and other bioacive components of cereals. She actively participated in several national and international projects, including the EU-FP6-Healthgrain project and the EU-FP7-SOLIBAM project, and she was a WP leader in the latest. She is the author of over 69 refereed papers cited over 1700 times and co-author of 17 book chapters. She is a co-breeder of 38 wheat and 2 spelt varieties. Recently she supervise 2 Phd students. 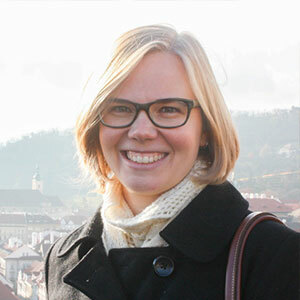 She won the János Bólyai Fellowship of the HAS twice, and also won the Zoltán Magyary postdoctoral Fellowship. She awarded the ’Researcher of the year 2017’ title in Veszprém Area, Hungary by the HAS. She is the member of the Eucarpia and the Committee on Plant Breeding, in the Section of Agricultural Sciences of the HAS. Marianna presentation is “Aegilops as a source of dietary fiber and drought stress tolerance”. Aegilops species are good genetic resources for altering the protein composition and improving the dietary fiber content and drought stress tolerance of wheat. The addition of individual Aegilops chromosomes to wheat and their detailed biochemical analysis will help to identify the location of the determinant genes in Aegilops and to transfer wild alleles into wheat more efficiently. 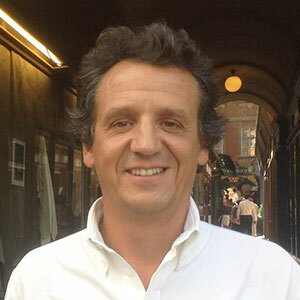 GILBERTO IGREJAS is Professor at the University of Trás-os-Montes and Alto Douro (UTAD). Completed a PhD in Genetics and Biotechnology at the University of Trás-os-Montes and Alto Douro in collaboration with Institute National de la Recherche Agronomique (INRA) in 2001. Post-Graduation in Legal Medicine, Institute National of Legal Medicine - Porto/ Faculty of Medicine of Porto University, 2002. Post-doctoral training in Molecular Genetics, as Visitant Scientist, at Commonwealth Scientific & Industrial Research Organisation (CSIRO), Australia.Currently is head of the Functional Genomics and Proteomics Unit and integrated member of the (Bio)Chem & OMICS, LAQV-REQUIMTE of Nova University of Lisbon. It develops research work focused on the use of omics tools, particularly genomics and proteomics, at the molecular genetics and biotechnology level of various plant, animal and microbial species. These are in the chronological involvement as priority research areas, based on these tools and their scope i) characterization of genetic resources of wheat, rye and triticale; ii) Proteomics applied to the detection of genes responsible for the functionality and allergenicity of wheat grain, rye and triticale; iii) Genomics and proteomics applied to antibiotic resistance; iv) Nutrigenomics and proteomics applied to the evaluation of protein species and finally, v) Probiotics in biotechnology and health. With regard to scientific production has published more than 150 articles, 12 book chapters, 20 oral presentations by invitation, 40 oral presentations, 250 communications in scientific meetings, 11 publications in GenBank, 8 publications in UniProt, 6 records the MLST, 13 articles in technical and scientific journals and 10 educational series. Responsible for research projects, teaches International courses, Doctoral and Master’s degree and keeps working activities with several national and international entities. The current supervision activities includes 3 Post-Doctoral researchers, 4 Ph.D. students, 7 Master students and 4 undergraduate students. His past successful supervising includes more than 100 students and the participation at 120 jury of academic degrees. His presentation entitled “Proteomics to assess the quality of the Portuguese bread wheat”. will explain how the identification of new alleles provides the opportunity of testing their effect on dough quality, in particular on extensibility. Although there was some variation, flours from the Portuguese wheat lines analysed were remarkably well suited for biscuit-making. Different crosses can be devised to introduce the most favourable combinations of old varieties in modern germplasm.